By buying this product you can collect up to 794 bonuspoints. Kurvväxel höger, manuell, R5/6 30°. Radie 5 = 542,8 mm, radie 6 = 604,4 mm. Curved turnout right BWr 5/6 for manual operation. 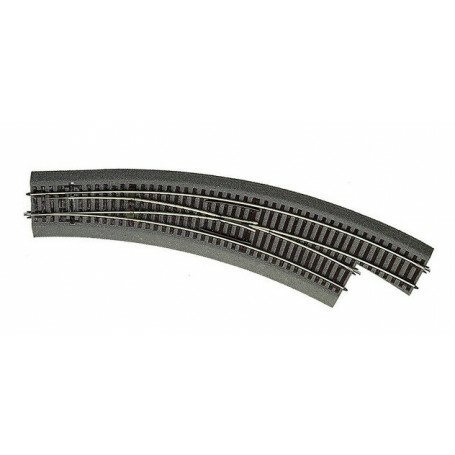 Radius of the main track and the branch track 542.8 mm (R5)/30 deg. With bedding. Matching electric drive: 42620 or 42624.